The lights are still off for Spidey on Broadway. 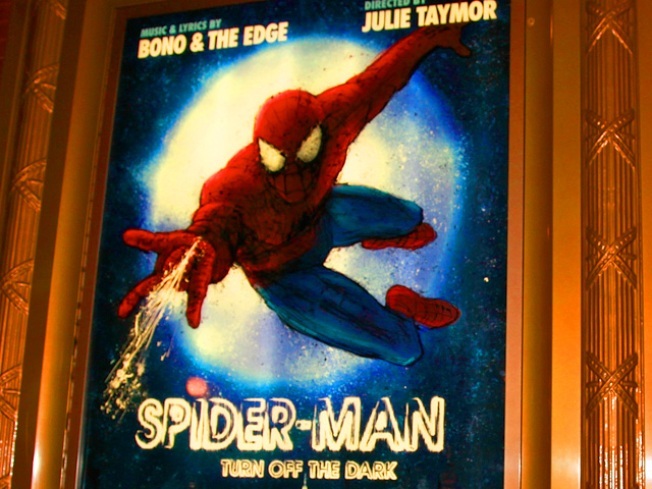 Script re-writes and and changes in production have delayed the opening of Julie Taymor's big-budget production, Spider Man: Turn Off the Dark, reports the New York Times. The play was set to open on January 11, but is now expected to debut in February, which will allow for "further rewrites to the dialogue and consider adding and cutting scenes and perhaps inserting new music from the composers, U2's Bono and the Edge, who will resume working full-time on the show in late December," the Times said. The $65 million show, the most expensive musical every produced and one of the most anticipated Broadway shows in years, has been plagued with problems almost from its inception. There was a struggle to raise money, additional rehearsal time was needed for the cast, and the technological aspects of the production had to be reconsidered after the first public preview in November had to be stopped several times. Currently, the writers are reconsidering the play's second act, which marks a sharp departure from Spider Man's traditional origin story. Taymor and Bono have created the bulk of Act II and will attempt to reconcile their vision with the comic book hero's back story.